The Florida Anti-Fencing Act is located in Florida Statute 812.019. Fencing is the term for dealing in stolen property. “This crime, dealing in stolen property, is an anti-fencing statute and is intended to punish those who knowingly deal in property stolen by others.” State v. Camp. This statute was originally designed to combat organized crime rings that stole property and then tried to sell it. Sometimes individuals are incriminated by this statute when they are not part of a crime ring. For example, a person could buy something that is stolen (which is not illegal) and then try and pawn it while not knowing it was stolen. Another situation is where the individual uses his ID and thumbprint at the pawnshop to pawn something for a friend who really was a thief. The statute is designed to capture the organizers (fences) as well as the individuals selling the stolen property (boosters). When a thief steals property, he looks to get money for it. The thief could start trying to show it to buyers, but law enforcement will be looking for him and the property he stole. The thief wants to remove this risk so he sells the property to a store owner at a discount rate who will then hold on to it or sell it. These store owners are called fences. Sometimes a fence holds onto the property because it is being looked for (“hot”) and it needs time to cool down. Fencers are really the bridge to take property from the criminal world to the legitimate world. Sometimes legitimate businesses do small side deals as fences. Pawnshops are a good example. The bad news about this charge is it is generally clumped together with theft. The good news is that Florida Statute 812.025 says you can only be convicted of either theft or dealing in stolen property, but not both. At that point, the jury will have to determine if the defendant is more like a thief or more like a fence/booster. If you pawned the stolen property, you could be charged under Florida Statute 539.001(8)(b)(8) for receiving money from a pawnbroker on false verification of ownership. Recently, in South Florida, a crime ring of over 20 individuals were shoplifting property to sell to fences who sold to other fences. It was estimated that $15 million dollars of property was stolen from stores. (2) You knew or should have known the property was stolen. “[I]f the evidence is only that the defendant obtained or sold stolen property and there is no evidence that he stole it, then dealing is the appropriate verdict.” State v. Camp. If this was a one-time event, it will be hard for the prosecutor to prove the defendant was dealing stolen property. (2) You trafficked in the property. Trafficking is defined as “to sell, transfer, distribute, dispense or otherwise dispose of property; and to buy, receive, possess, obtain control of or use property with the intent to sell, transfer, distribute, dispense or otherwise dispose of that property.” This is more serious than just selling property because you are actively enabling criminals to profit from their crimes. 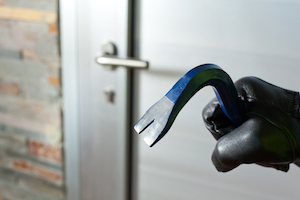 There are some things that can point towards you knowing the property was stolen. If the property was taken from a house, the state prosecutor can add on a burglary charge because Florida Statute 812.022(2) allows the inference that the person knew the property was stolen. If the property was sold for far below market price, then that can give an inference that you knew that the property was stolen. Property that has another person’s name and phone number obviously displayed creates an inference that the person selling the property knows the property is stolen. Dealing in stolen property is a second-degree felony which is punishable up to 15 years in prison and a $10,000 fine. Organizing stolen property is a first-degree felony which is punishable up to 30 years in prison with a $10,000 fine. Dealing in stolen property or organizing stolen property are serious crimes. If you or your loved one has been arrested or charged with either crime, call our office to schedule a free consultation. Our attorneys can meet with you and let you know of all your legal options. We will create a defense strategy based upon what your story is. We will negotiate to have your case dropped or we can explain to the judge that your case needs to be dismissed. We can even take your case to trial to seek acquittal or we can negotiate your sentence to be less. Know that we will be seeking to get you the best outcome possible in whatever situation you are in.